You’ve probably already seen the new lights downtown, either on social media or in person. The warm white lights are being installed on buildings throughout downtown Fremont. We initially started out with the four blocks in the historic district as our first goal. After all, you have to start somewhere, and that seemed like a good starting place. 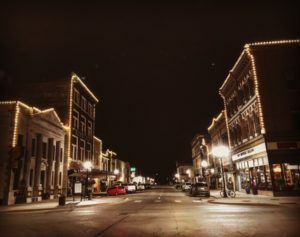 However, soon after installation began, we started getting inquiries from other businesses in the downtown area who wanted lights on their buildings, too. We’ve also encountered some business that just aren’t ready to participate. As you can imagine, this undertaking is huge and we will work toward getting lights on ALL buildings that would like to have them. We have partnered with A-Plus Tree Service to get the lights installed. We had offers from Omaha companies, but decided to keep it local and build a relationship up with a company we can call upon in the future. Plus, these guys really like being apart of a great project like this in their hometown! Several steps are taken to secure these lights to the buildings. First, silicone glue is used to attach a plastic bracket to the surface of the building. Next, we wait 24 hours for the glue to fully cure and harden. Once the 24 hours has passed, a LED light with a plastic clip is slid onto the bracket, securing the light into place. The bracket and glue are not permanent, making it easy to remove or reposition, if needed. Lights are being placed 11 inches apart on horizontal surfaces and 10 inches apart on vertical surfaces. This layout allows us to illuminate the roof lines while adding a vertical line in between each building. This method gives the buildings the appearance of being fully outlined, and provides a beautiful, sparkling streetscape. responsible for their own electricity to power the lights, some building owners have opted to collaborate and share electrical resources. While we are not involved in any of those agreements, we think it’s great to see downtown businesses working together toward a common goal! Some have asked what we will do to keep these lights fresh and lit year-round. Our goal is to keep the Lights On Fremont! project going 365 days a year—all it takes is some effort and teamwork. We believe a small maintenance fund, supported by small fundraising events throughout the year, will help maintain this beautiful addition to our downtown. If you were wondering, this initial Lights On Fremont! project is self-funded by the Fremont Downtown Development Group and its current members, with the goal of adding light, excitement, and energy to our downtown streets. No BID money is being used on this project. 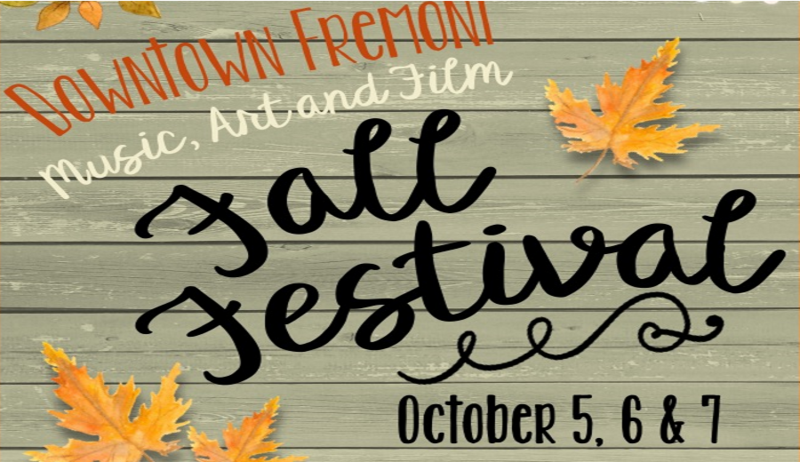 All funds for the project are made through the Fremont Area Community Foundation and designated for the Lights On Fremont! fund. All donations to this project fund will go directly toward getting lights on all the buildings that choose to participate in the effort. 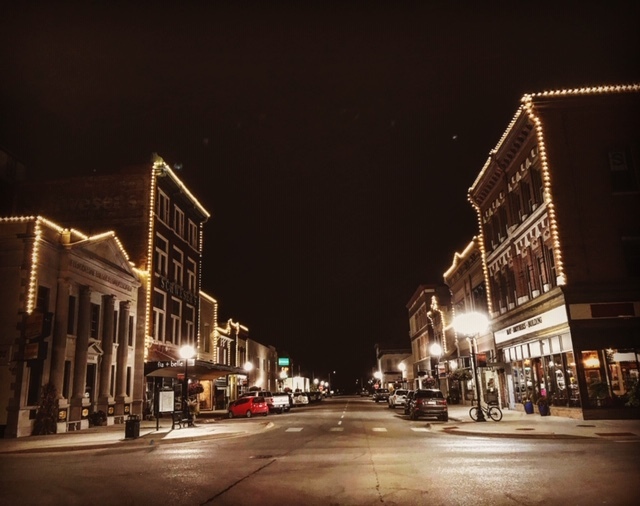 Building owners have been given an estimate of what it might cost to illuminate their building and, if they choose to participate, make their donation to the fund through the Fremont Area Community Foundation. We are fortunate to have a generous, anonymous donor for this project. Their generosity and commitment to the Lights On Fremont! 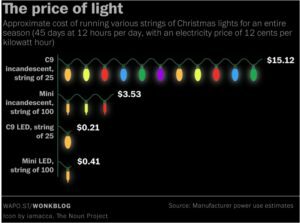 project has made it possible to reduce the cost of the lights to just $5.50 per foot for materials and installation. To date, we have installed just under 4,000 feet of lights. We hope that when this project is finished, it will be something all downtowners can be proud of. It is the start of something wonderful for downtown Fremont.The more light and energy we can bring to our sidewalks, the more the people will come and enjoy our downtown. This is just a small step in a long journey, and we will continue making progress towards our goal of making our downtown a place that everyone wants to be.